Thank you for praying for Joseph during his most recent lumbar puncture (on Monday 27 July). He coped very well with the fasting and the procedure. After a very light breakfast, I took Joseph to the hospital for his routine blood check to make sure his counts were at the levels required to proceed with the lumbar puncture. Everything was within an acceptable range so after a short time I took Joseph back home to have time to play before his procedure. Joseph was understandably irritable, feeling hungry and tired. This meant he required some extra attention from Kate and a lot of grace from his older brothers, but the time at home helped break up the day and before long it was time to go. This time Kate took Joseph in for his procedure, Kate’s first experience of doing so. Joseph was excited about this novel situation and chatted non-stop from when he got into the car to when he was taken into theatre. The procedure went quickly and when Kate was called in to recovery, Joseph was sitting happily on one of the nurse’s knees, explaining to her why cats don’t need to wear sunglasses. Joseph wanted to stay and chat but was eventually persuaded to go home. As he does with me, when he got to the car park he wanted to ‘race’ Kate. He dragged a waddling (38 week pregnant) Kate to the car, much to his amusement. Kate drove home thanking God for His incredible grace to Joseph, once again. The next day the clinic phoned with the results of Joseph’s most recent liver function test -these were very encouraging. Joseph’s bilirubin was now down to a level at which the doctors felt happy to increase his chemotherapy. Joseph is still on a low dose to allow his neutrophils to stabilize. However, we felt encouraged and very thankful that the Lord had allowed Joseph’s liver to recover from whatever was causing him to be jaundiced several weeks ago. We are also very thankful for the period of good health that Joseph and all the boys have enjoyed over the past weeks (following several weeks of fevers, colds, coughs and tummy bugs). This meant that we were able once again to go and enjoy a short break at the NICFC retreat centre, Daisy Lodge. During this stay Joseph got to try his hand at canoeing, a first for all our boys. 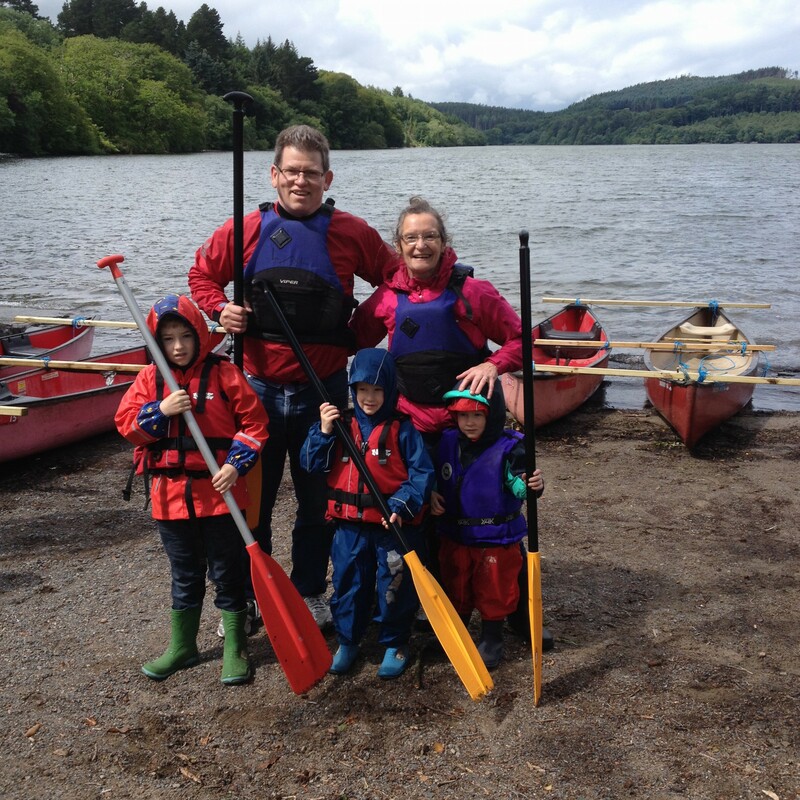 By tying the canoes in pairs, our guide from the centre made sure there was no chance of getting soaked by the lake water (he couldn’t do anything about the rain!). This meant it would be safe for Joseph and the other immune suppressed children participating. It was a very exciting experience for the boys and one which we would not have been able to enjoy together (Kate and Ezra watched from the shore) had it not been for the Lord’s special provision of Daisy Lodge and its wonderful team of staff. Another amazing provision from the Lord has been that Joseph and his brothers have begun taking Irish dancing lessons. Joseph has been able to benefit from this experience thanks to a wonderful teacher who was willing to come and teach the boys at home. They have now had several lessons and enjoy burning off excess energy before bedtime with a lively Irish dancing session, as inspired by Riverdance. It especially delights our hearts to see Joseph, once so ill, joining in and developing his sense of movement and rhythm. Here is a short video of Joseph doing some “freestyle” dancing while his brothers pratice their “threes”.